The objective of the workshop is to explore the potential of robotic technology to assemble lightweight wooden structures with minimal scaffolding, through a collaborative workflow between robots and builder with an integration of material properties and construction sequences. We aim to robotically construct a series of small prototypes using thin wood shingles that will form panels which will be assembled manually into a larger piece. Considering material properties will be key to delve into this research. Wood bending properties and sizing will be studied to take material properties into account to design the tectonic system. Most important of all, the system will be designed by and through the technological and material constraints and limitations, seen as drivers for more efficient construction, and windows into new ways of thinking about design. The material system will use wood shingles of the same dimensions assembled in an additive manner. Shingles will be nailed together with a staple gun effector. During construction, the shingles will be added to the existing structure in an incremental fashion and bent against it to secure be secured. The curvature of each piece and the differentiated spacing between shingles will define the overall geometry. We envision that the adaptive curvature and spacing of the shingles will enable differentiated opacity, shadow and light. We will be able to construct ruled surfaces that can be attached to the ground using a guide piece, which will serve as a base and support for the structure. 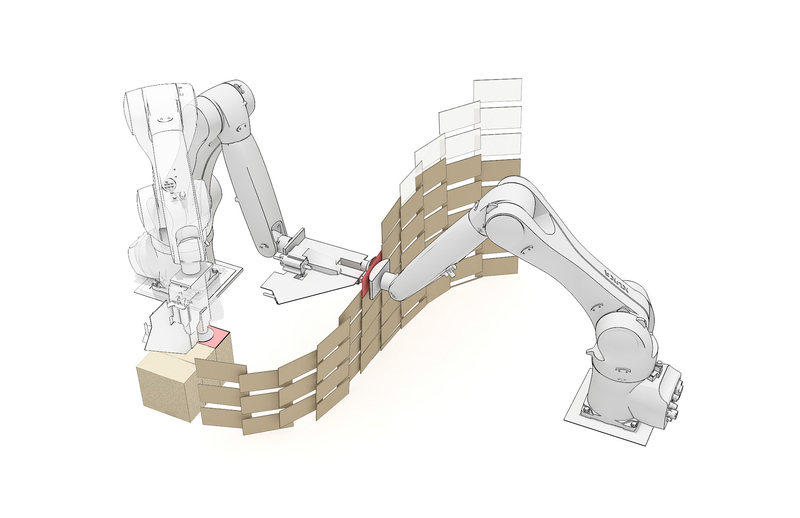 The construction of these types of geometries will allow us to do so with minimal use of formwork – and instead employ the robots in a temporary fashion to support each of the pieces to be assembled. Bend other end of shingle against structure using existing stapled connection as a support and staple through once more. Expected Skill Level: Advanced Rhino and Grasshopper skills, experience in wood fabrication and robotics is a plus. Erik Martínez AIA is a licensed architect in New York State. 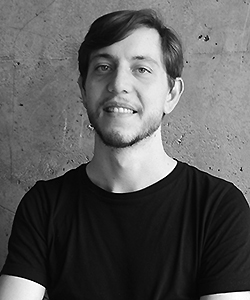 He received his Bachelor of Architecture from Pratt Institute in 2010 and an MSc in Integrative Technologies and Architectural Design Research from the Institute for Computational Design at the University of Stuttgart in 2016. He’s worked in North America and Europe in the offices of TEN Arquitectos in New York, where he was involved in design and construction of several public projects in the city, and at HaasCookZemmrich Studio 2050 where he has lead winning competitions and projects in Germany. He is currently and associate architect at SHoP in NYC. His work has been exhibited at the Ars Electronica Museum in Linz, Austria,at the Academy of Arts Architecture and Design in Prague and featured on Wallpaper and Competitionline. 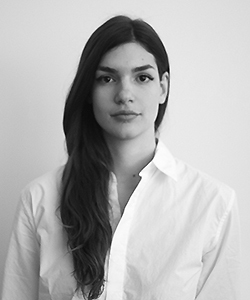 Kyriaki Goti (Dip.Arch.Eng, MSc) received her Diploma in Architecture from Aristotle University of Thessaloniki in 2015 and an MSc in Integrative Technologies and Architectural Design Research from the Institute for Computational Design (ICD) at the University of Stuttgart in 2017. She has worked at ecoLogic studio in London where she took part in the design and fabrication of experimental small scale projects in Europe. In Stuttgart she was a Research Assistant at the ICD working in the development of research projects in timber. She also worked at the facade development team of KnippersHelbig Advanced Engineering in large scale projects in Europe and the US, and later at Blocher Partners participating in winning competitions and projects in Germany. Her work has received several international awards such as UIA-HYP CUP 2015, 6th Advanced Architecture Contest 2016 (IaaC and Fab Lab Barcelona) and the MAD Travel Fellowship 2017 and the YouFab Global Creative Awards 2017.